I am having a Pity Party! And No-one is invited but me! Let me just say, I love my daughter and two grandsons so very much!!!! I hope there is cake. maybe even a Black Forest Cake. No posting for a few days, I need space. Ever can't concentrate on what is being said? Can I tell you what the sermon was about this morning? We will be "Hunkering Down "
What is your ultimate relaxing weekend? My sister loaned me a handful of movies, got beef stew in the crock pot ready to go, have popcorn and chocolate. Got my "sick" socks and comfy old PJ's , what else would a girl want. 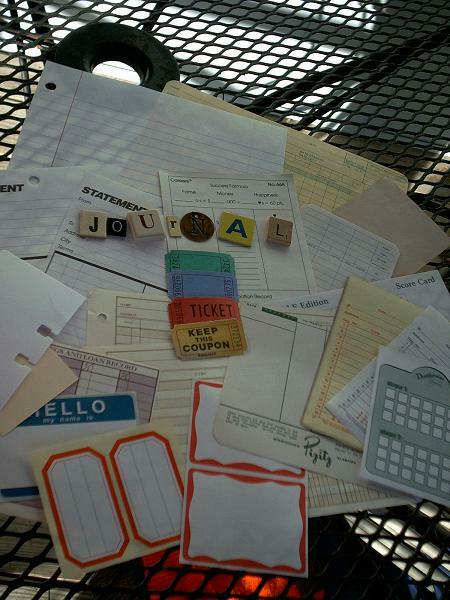 How many scrapbooking pages do you think you complete in a year? I was thinking last night about this, I know my creativity comes in limited doses. I completed 10 or more pages during Christmas and New Years. And only 2 since then. When I go to crops, I only get a few completed, if any. It is the fellowship, I go for. 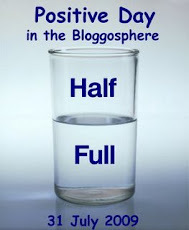 I came across a Blog, where her goal was 52 pages in a year, that"s just one a week. Or was they 2-page layouts? Well, I am willing to give it a try. It seems I have once again added a challenge to this blog. Picture is of the Journal goodie bag made for Jerri's Junque. They still lay on my table and has yet been packaged and added to the store inventory. Starting classes tonight at the shop. Been cleaning out and re arranging, new year , new start. Classes will now be every 1st and 3rd Tuesday nights. With a few Crops in between for fellowship. I hope the frost shows up on my 35 MM camera. We live so far off the main road that I decided to take a picture from about 1/2 way up the driveway. Give a two year old ( well, almost 2) a balloon and you get at least 20 minutes of peace. 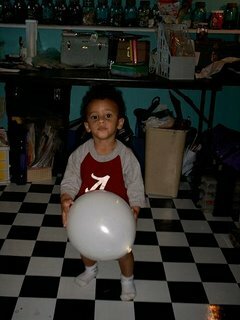 But he is like a elephant and never forgets the drawer where I found the balloon. So every morning I have to blow up a balloon, and every morning I get 20 minutes to drink my coffee. I need to put balloons on my shopping list. As promised, a look at one of my new "jerri junque" goodie bags. As you see this has a Christmas theme. 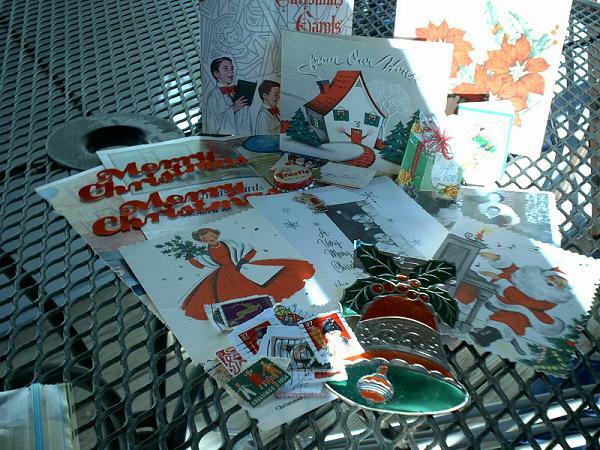 it is a smaller package with vintage Christmas cards, cancelled stamps, a frostie bottle cap that reminds me of Christmas, little tags, a pamphlet with Christmas music and more. Do you think these will sell? maybe another peep tomorrow. Took pictures of this Fridays challenge this morning. It is so pretty outside with the frost. Have a good day. As you know I am a junque collector. And have a small section in my shop with "jerri's junque". My ultimate day is junking in dark dusty corner of antique shops and flea malls. 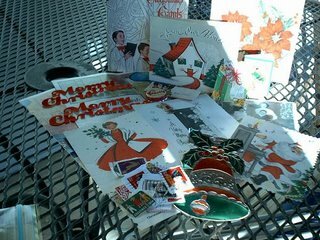 Finding that vintage game, a box of old 50's Christmas cards , or a jar of buttons can make my afternoon. Over the years I have gathered quite a collection and every so often I decide to let go of a few items. These items are not acid free, but can be used in your altered projects. They have been used and abused. Each theme bag are one of a kind, but are limited to only a few different themes. I will try and take a few pic in the morning for a sneak preview. 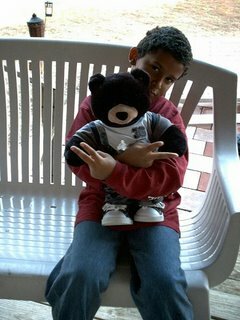 Grandson #1 wanted to go to Build a bear for Christmas. There was no time, so we went last week, before he went back to school. He was so excited. He wanted a panda, and was a little disappointed to not find one. But when he saw this black bear, he knew it was the one. If you are like me and have not been to this shop, it is worth the trip and the $40.00. The look on this little mans face was worth it all. 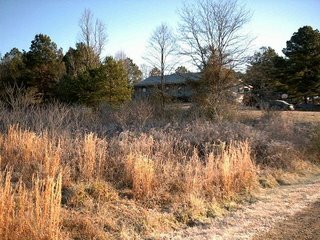 What is your "Vision" for 2007? At home, personal,work,art,a change in you. Your Vision on the next year will make a wonderful page, and will include a page next January 2008, for a update....Step out of the box, and start a new album. Maybe a different size than you are use to. An album you can add pages. This one will hold a year full of one page ( yes, leslie . I said one page ) Friday challenges. Check back next friday for page 2.